Home / Posts tagged "Trados Shortcuts"
We all know the Periodic Table of Elements. 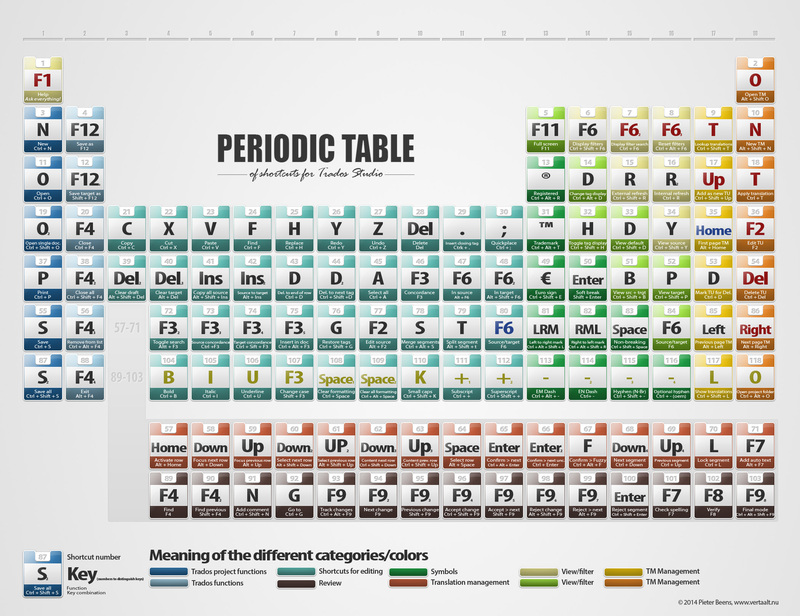 That table we learned about in secondary school: an overview of gases, metals and other stuff – as far as I remember. I am not a beta so all I know is that it exists. As a freelance translator I do not have to know that table although I think it’s good to know about it. To do my job properly I need to know what CAT tools are, what I am talking about in terms of subjects and terminology and how I can work efficient and profitable. That’s where Trados comes in.